Is Manuka Honey Worth The Hype? 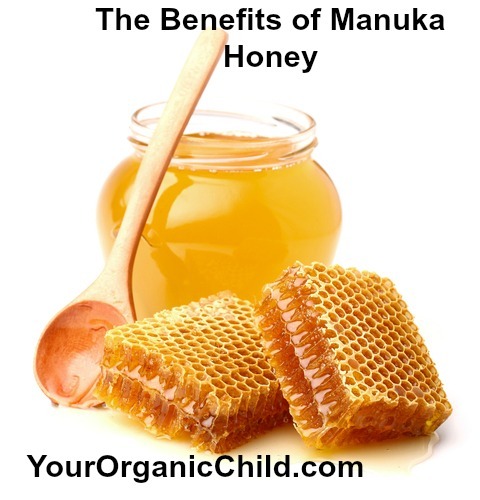 My kids and I have been using different types of honey for years and a few years back discovered Manukaa honey. I was first told about it when a friend got a third degree burn and she put Manukaa honey over the burn instead of any other ointment. She was told she would need a skin graph and after a little over a month of the Manukaa honey she didn’t need the skin graph. The doctor asked her what she used and she told him the Manukaa honey and he just looked at her kind of strange. Either way it worked. My daughter loves it but I have heard different stories out there that most of the Manukaa honey you buy at the store is fake or very low quality. I have looked into to different brands and have been sticking to the same one now that we believe to be a high quality. I have put a link at the bottom of the article so if you want to try it out you can purchase it through Amazon. I have found its great for stomach aches in children. Raw honey is known for its tremendous nutritional values but Manukaa Honey is far more nutritious and has a four times greater nutritional content and immune boosting abilities. Apart from its antibacterial properties, Manukaa honey contains a higher level of enzymes as compared to regular honey. Because of its natural antibiotic properties, Manukaa honey acts as a natural medicine for any antibacterial related disorder, such as small intestine bacterial growth, acid reflux and low stomach acid. If you have been suffering from acid related disorders, Manukaa honey is the perfect natural treatment for you as it contains countless antibacterial properties which help balance your digestive system and treat intestinal imbalances. In addition, Manukaa honey improves digestion and promotes gastrointestinal health. If you are suffering from bloating and abdominal pain, Manukaa honey may prove the perfect solution for all your abdominal discomforts. There are thousands of teenagers out there who are worried sick about their acne. Manukaa honey might be the perfect solution for you. Keeping its antimicrobial and healing properties in mind, Manukaa honey successfully treats acne and eczema as well as a few other skin conditions. Applying Manukaa honey to the affected area and then washing it off with a little soap and water usually does the trick. For better results, repeat the process everyday for clearer and smoother skin. Manukaa honey swirled into a hot drink can boost your energy levels. It is important you consume complex carbohydrates, such as Manukaa honey with toast or whole grain bread, instead of just eating Manuka honey by itself, as it is a source of sugar which can cause excessive weight gain if consumed on its own. Because of its rich antioxidant and antibacterial properties Manuka honey has been widely known for treating infections in people with venous ulcers. The use of Manuka honey can greatly increase the pace of wound healing and provide relief from pain and decrease inflammatory responses as well. Many people have found consuming Manuka honey can help relieve allergies. Manuka honey contains a special kind of pollen, called birch pollen. Birch pollen is used in many medicines for treating allergies and providing relief from sinus problems. Taking a teaspoon of Manuka honey on a daily basis can help prevent or treat seasonal allergies even if you don’t take any other medicine. The next time you feel like you are getting a cold, stir a teaspoon of Manuka honey in a warm lemon drink and you may instantly feel better. The antibacterial properties of Manuka honey can help treat all kinds of seasonal flu, coughs, and sore throats. If you are a fan of making facial masks at home and only like to use natural ingredients, use Manuka honey in a homemade face mask to exfoliate your skin and fight off acne and free radicals in your skin. Manuka honey has been known to improve the tone and texture of your skin. Manuka honey can further be used in a shampoo or a hair mask to increase the thickness of your hair and add gloss to it. You may even use it to make your own detox drink to cleanse your body inside and out. Instead of gulping down sleeping pills to get a good night’s sleep, add a teaspoon of Manuka honey to a glass of warm milk and drink it before going to bed. Adding Manuka honey to milk releases a chemical called melatonin in the brain which is necessary for a deep slumber. To increase the quality of your sleep, increase the use of Manuka honey before going to bed. It is important you get a good night’s sleep. Some health disorders associated with sleep deprivation are stroke, arthritis and heart disease. Prior to consuming Manuka honey, make sure you are not allergic to bees as it may lead to some adverse reactions. It is better to seek the advice of a doctor before using Manuka honey as a substitute for medicine or for treating illnesses, just to be on the safe side and also to ensure you can enjoy the many health benefits it offers. Manuka honey has UMF Ratings. These rating will determine the quality of the honey. You should choose a Manuka honey that has at least a UMF 10+. A honey labelled 10+ is a honey that has been determined to have at least a rating of 10, never lower, but it may be higher. Decoding Manuka Honey Designations: What do the numbers mean?